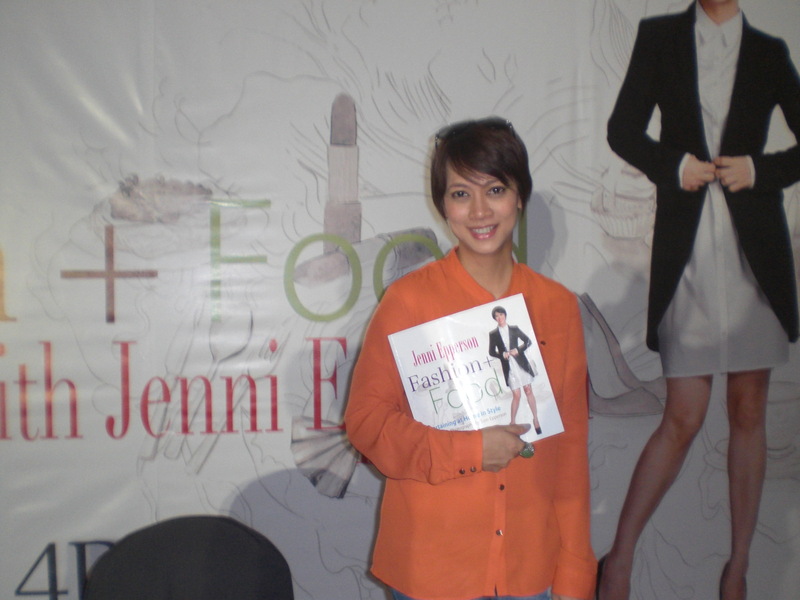 Last Saturday, I was invited, to cover Jeni Epperson’s book signing event at The Block, SM North Edsa. 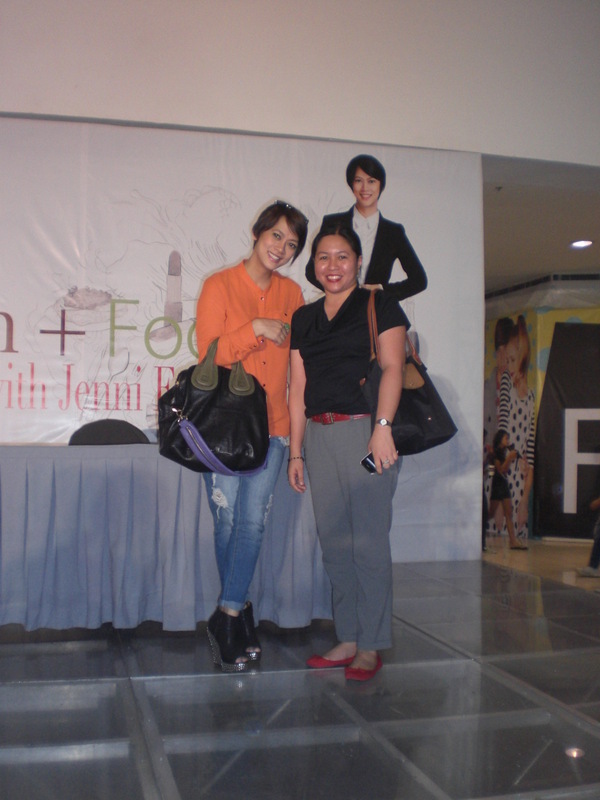 I was happy to oblige because I am an avid follower of her blog and a fan of both her facebook and twitter pages. 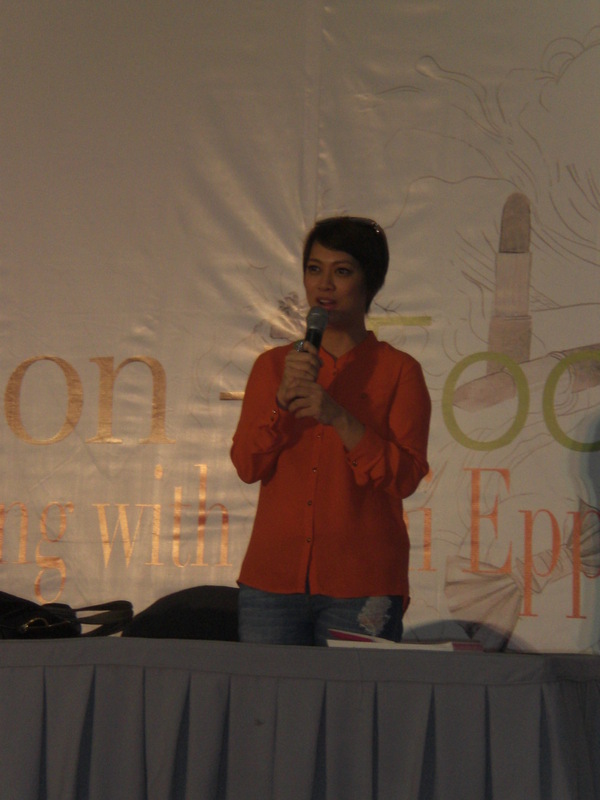 I was excited to meet her in person and listen to her talk about her book, Fashion + Food Entertaining at Home and In Style. 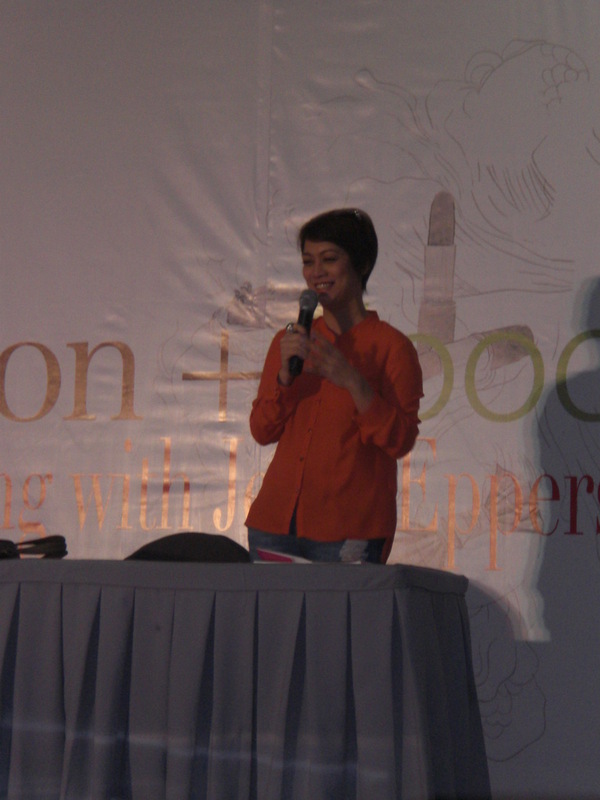 Jeni was her usual gracious and bubbly self as she candidly answered the audience’s questions during the Q & A and shared anecdotes of how her love for “”platu-patuhan” (toy plates) and fashion played an important role in the concept of her book. 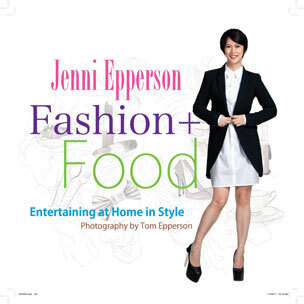 Jeni described her current “baby” as a handbook on how to make each dining experience at home, wether it be with your family or friends, an unforgettable experience. It contains recipes and suggestions on how to be the perfect hostess and how to create the perfect dining scene that would make your guests and loved ones feel extra special. Balance family and fashion. 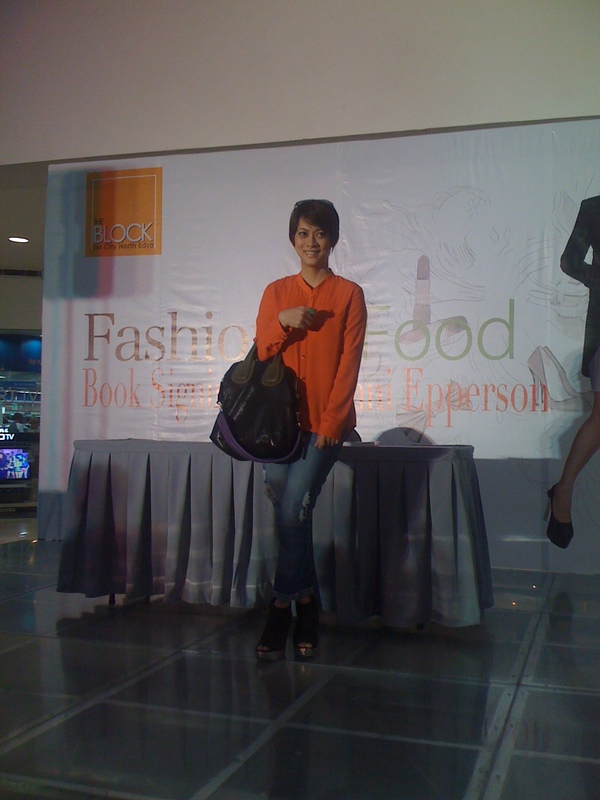 She encouraged mommies and wives to live style everyday. She shared how she makes it a point to do her motherly and wifely duties in fashion and how she always tries to create a home that her husband and children would always look forward in coming home to everyday. Live the life you imagine. 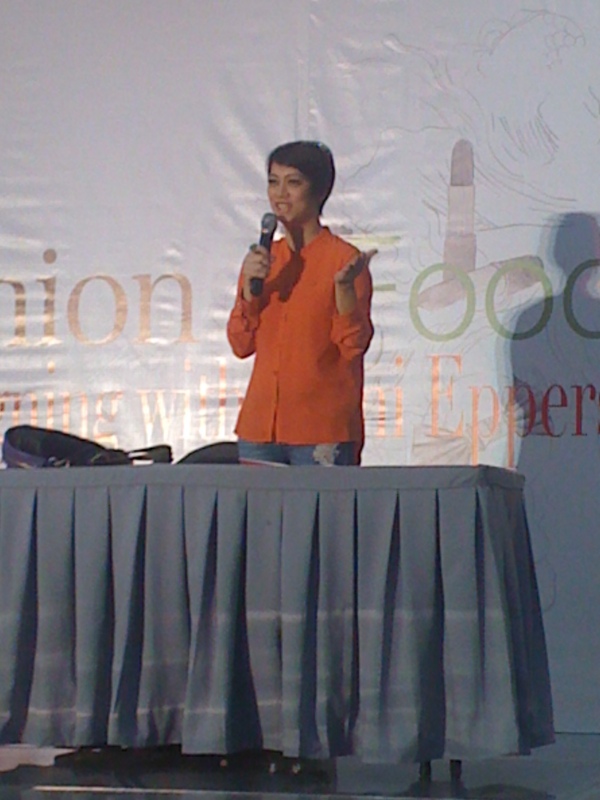 She talked about how important it is to enjoy life while pursuing one’s dreams. She shared that as a woman, we should always work on the kind of life that we want without loosing our sense of self and family. Make your dreams a reality. 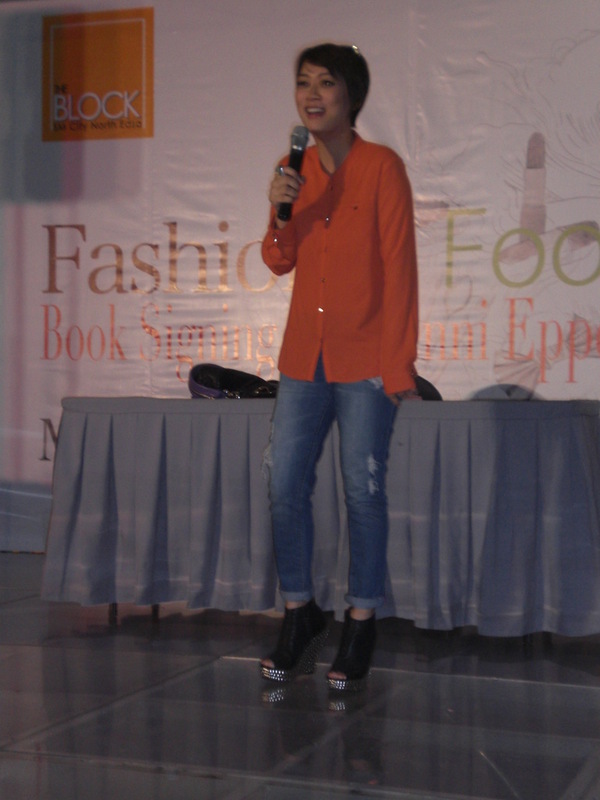 She talked a little about her journey as a model, fashion stylist, writer and blogger. She credits her experiences in these fields, the things she learned from the people she has worked with, and her fans and follower as her force and inspiration in achieving her dream of having her own book. 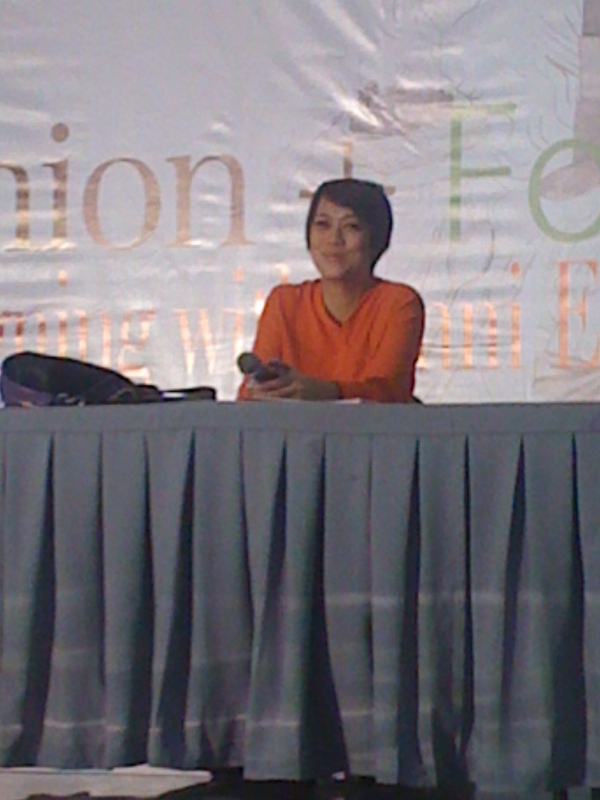 She adviced us to discover our interests, bank on our talents and pursue our dreams. Make each moment count. She revealed that this thought guides her the most everyday. She enjoined everyone to throw one’s self whole heartedly to whatever it is we’re doing and fully enjoy and savor the “right here, right now” everyday. 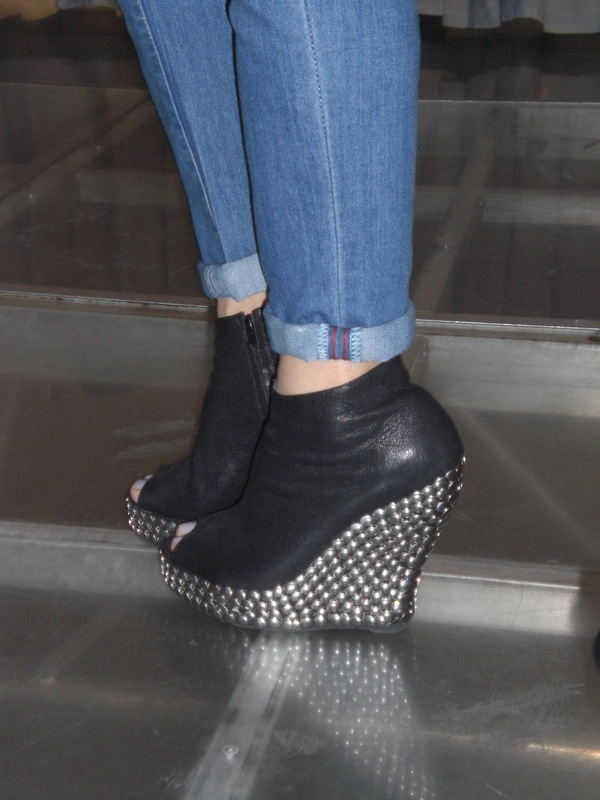 Love the wedges! She definitely carries herself well…hope I could get my hands on her book too! I love that 4 mantras mentioned. I agree. Hi, envious me. I also want to see her upclose. kakainggit. Nice! I think she’s really cool too! She’s a woman of style and substance. Beauty and brains is the perfect description for her. I think I should get a copy of her book. Lucky you! 😀 I want to meet her in person too. She seems so cool! I love her mantra..so true..simple lang yun but i think if we follow just like her.. we will be fab! thanks for sharing.. kinda mahal ng book..hahaha..never pa akong nakabili ng book na ganun kamahal..pinalamahal ko na is yung GoNegosyo..